Right now get a Hello Life! 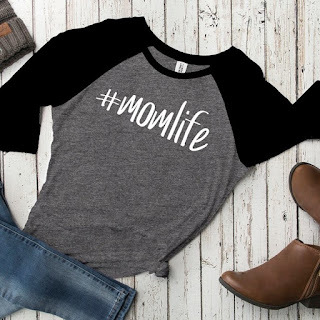 Ladies Raglan for $13.99 (Retail $27.99). Celebrate the joys of everyday living! With a classic raglan sleeve, these cozy raglans have been designed with your comfort in mind and will quickly become your favorite shirt to slip into. With our stylish and trendy designs, you will be wearing a true fashion statement. Made from a comfortable 50/25/25 blend of polyester, combed cotton, and rayon, these shirts are easy to wear and care and are simply perfect!